When you buy delicious Girl Scout Cookies, you’re powering new, unique, and amazing experiences for girls—experiences that broaden their worlds, help them gain essential life skills and entrepreneurial expertise, and prepare them to practice a lifetime of leadership. And guess what? 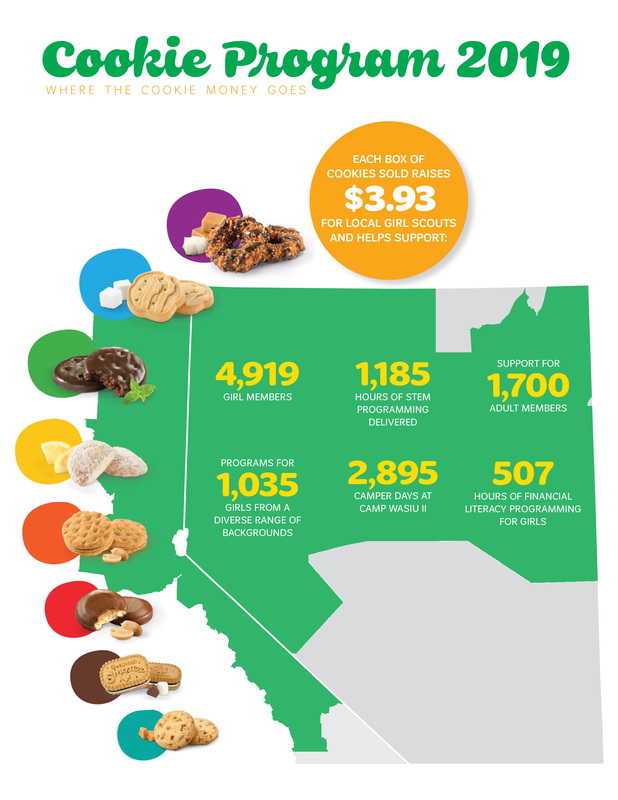 Girl Scout Cookie proceeds stay local to make it all happen! When you buy delicious Girl Scout Cookies, you’re helping to power new, unique and amazing experiences for girls—experiences that broaden their worlds, help them learn essential life skills, and prepare them to practice a lifetime of leadership. And guess what—100 percent of the money stays local! That means you’re not only supporting girls’ success, but the success of your community too—sweet! Whether it’s a trip to a breathtaking place they’ve never been before, an opportunity to attend Girl Scout camp and revel in the power of the great outdoors, or the chance to try something new, every experience helps them find the G.I.R.L. (Go-getter, Innovator, Risk-taker, Leader)™ within to do amazing things for herself and for her community.